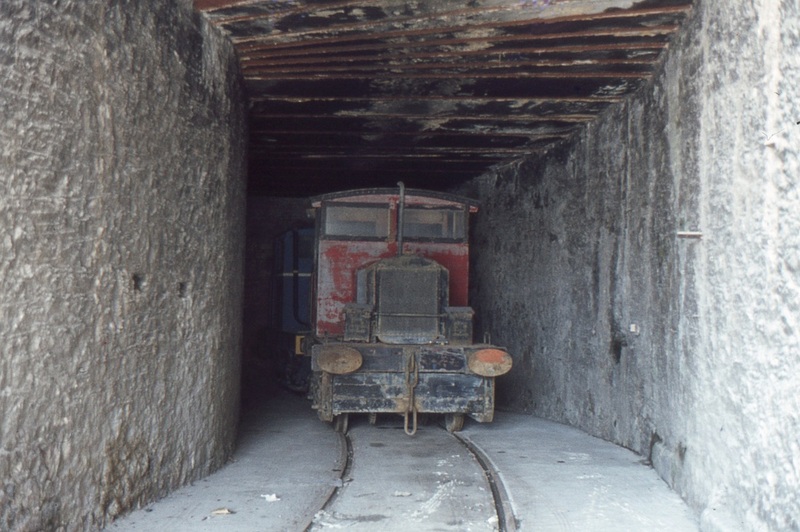 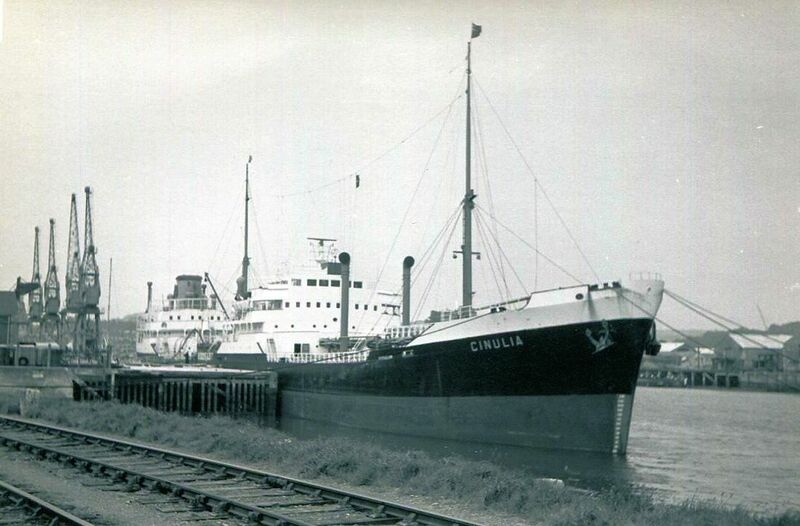 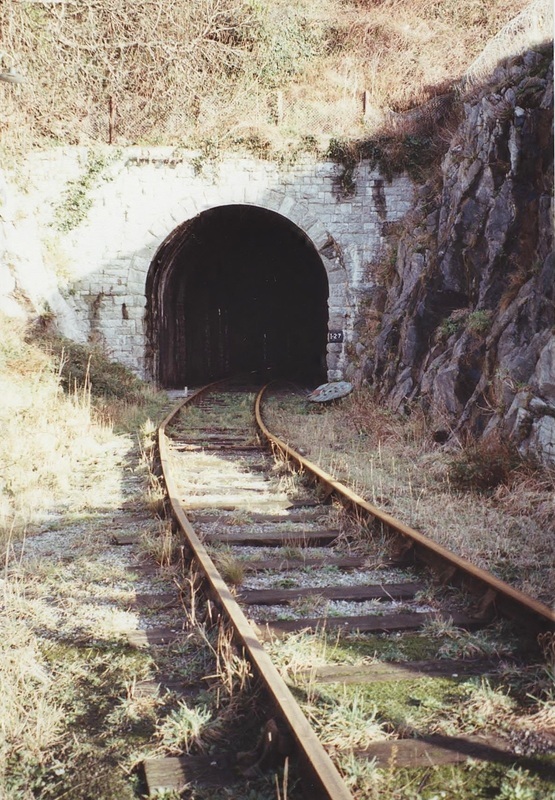 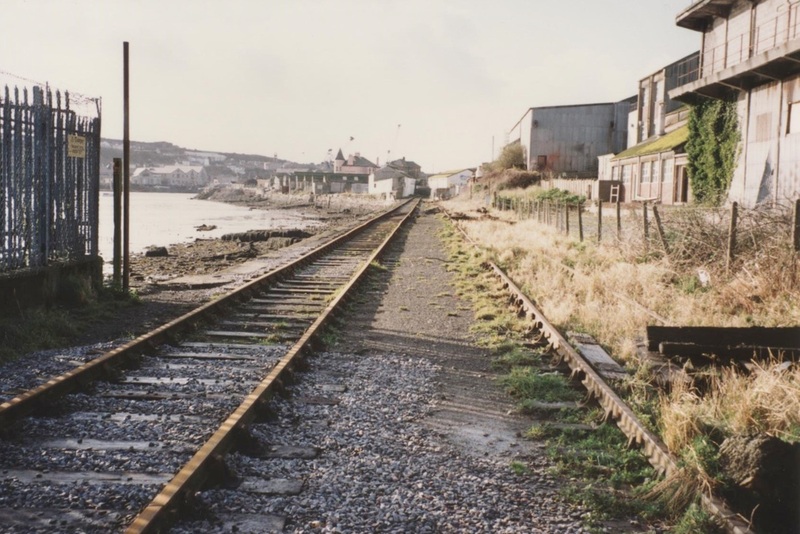 The following pictures are a collection of photographs taken, mostly many years ago by Messrs Winnen and Jenkin but even then the lines had mostly fallen into disuse. 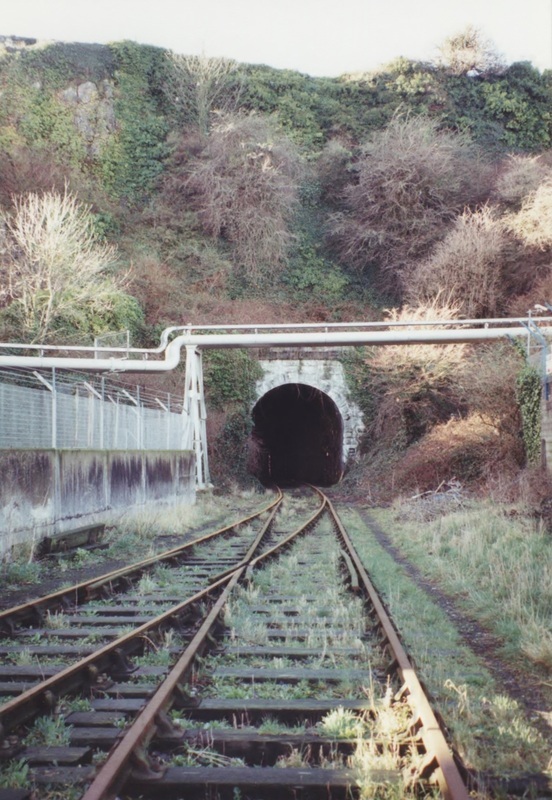 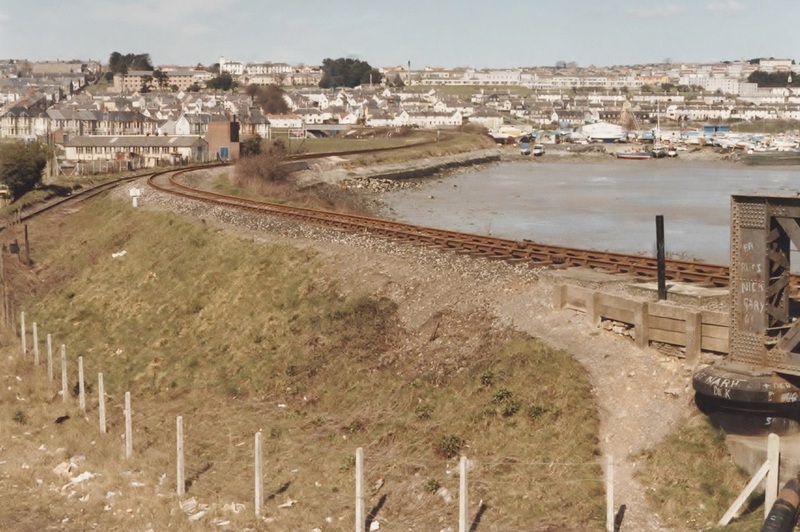 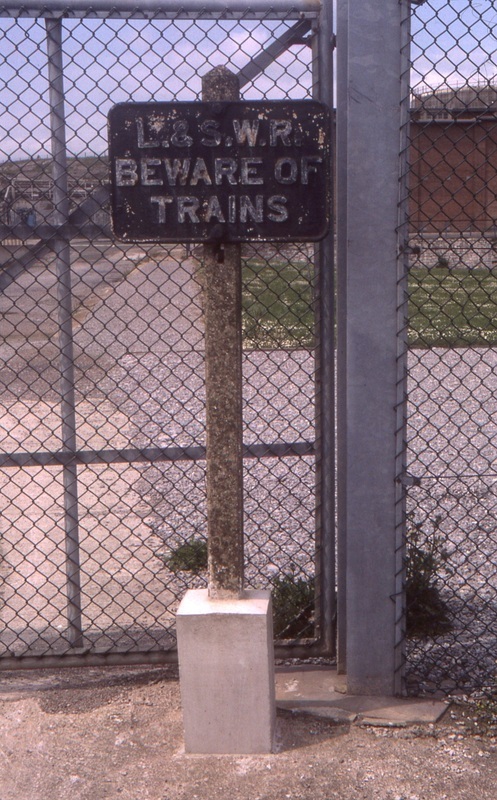 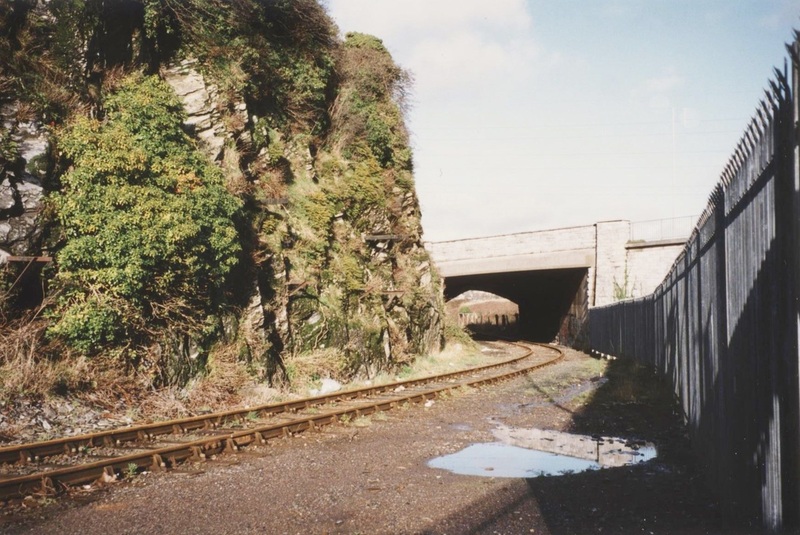 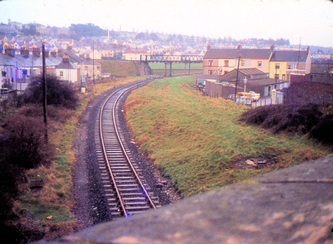 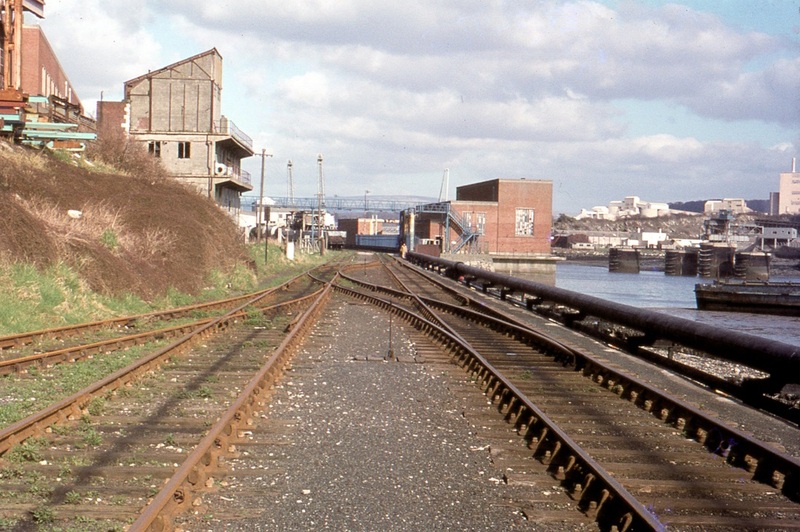 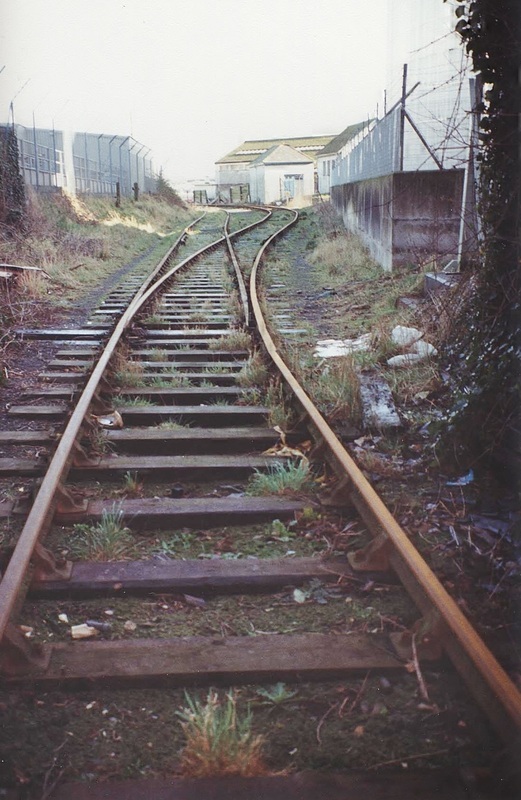 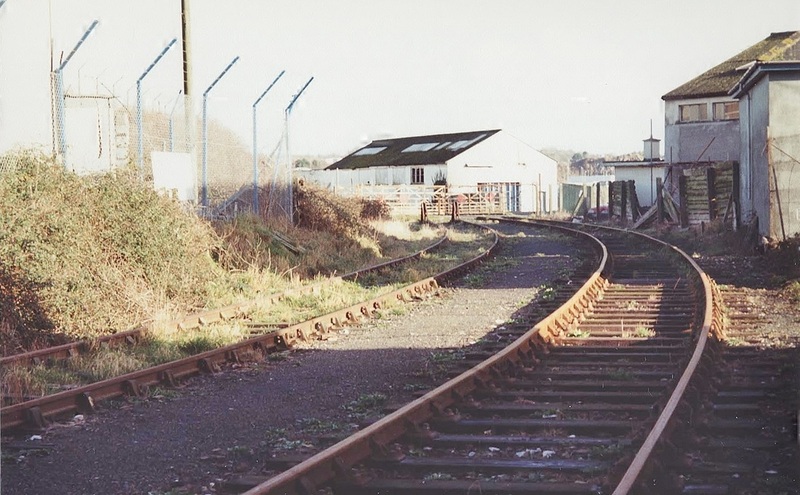 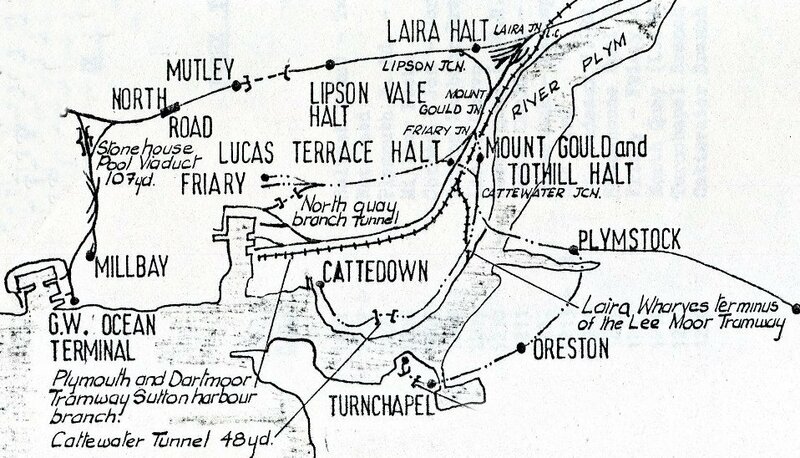 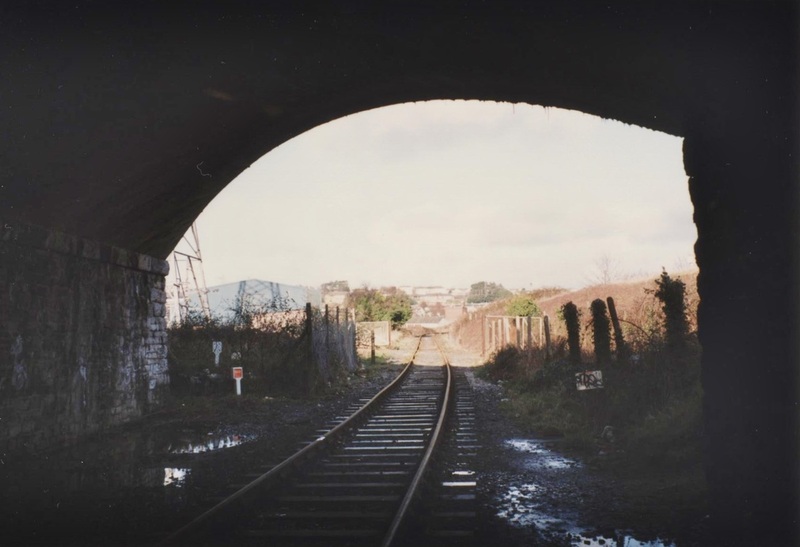 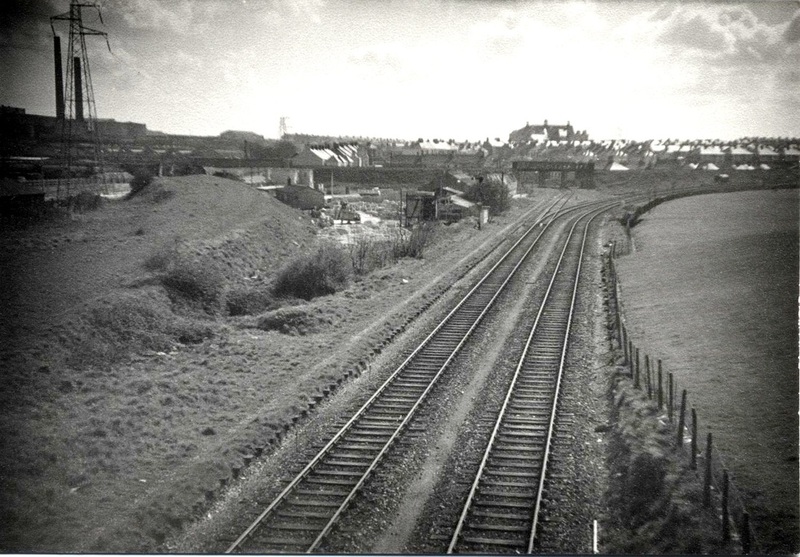 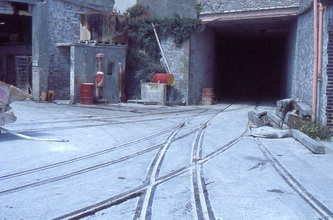 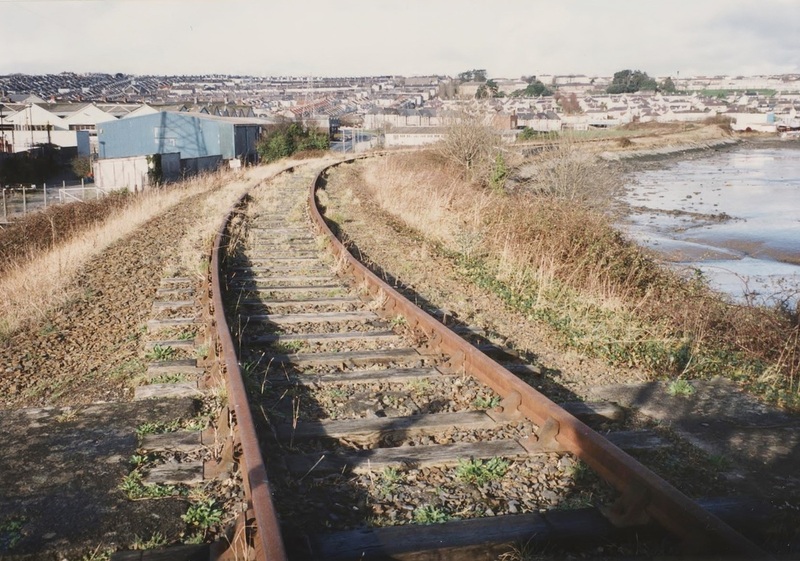 The Cattewater branch track layouts changed many times during its lifetime with new sections added and some closed. 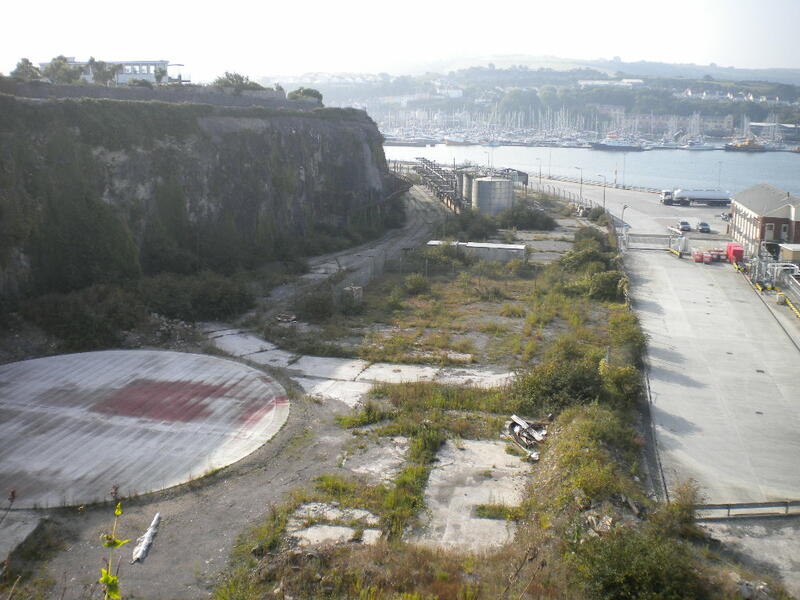 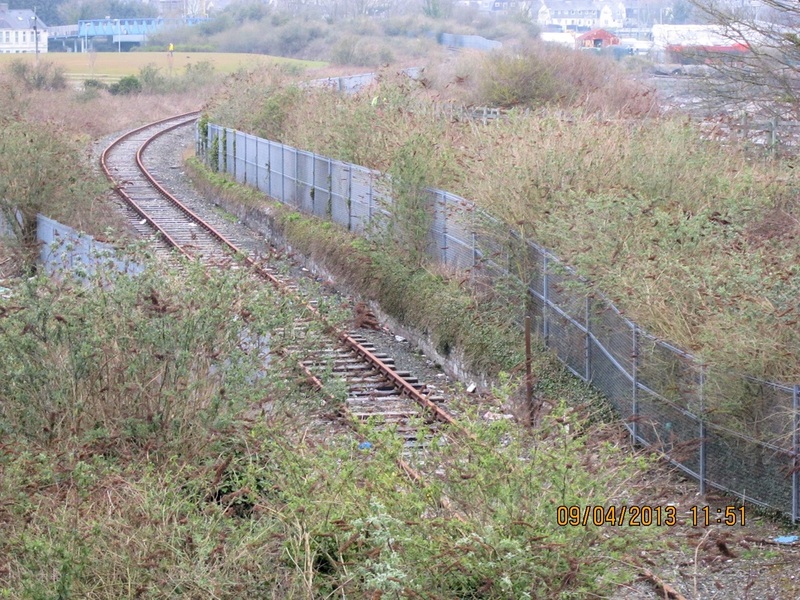 Most recently all the major sections have closed leaving only a stub serving a large scrapyard. 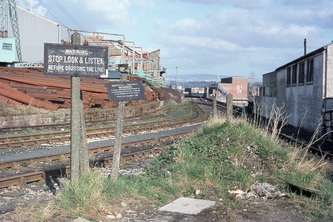 This last section being photographed by Mike Roach. Our appreciation to Peter Bragg who has put this collection in some order - it is hoped to add his comments and tales as the collection expands. The pictures have been put in some order starting from the extremity of the branch, if those using our website have any more information or pictures this would be much appreciated. 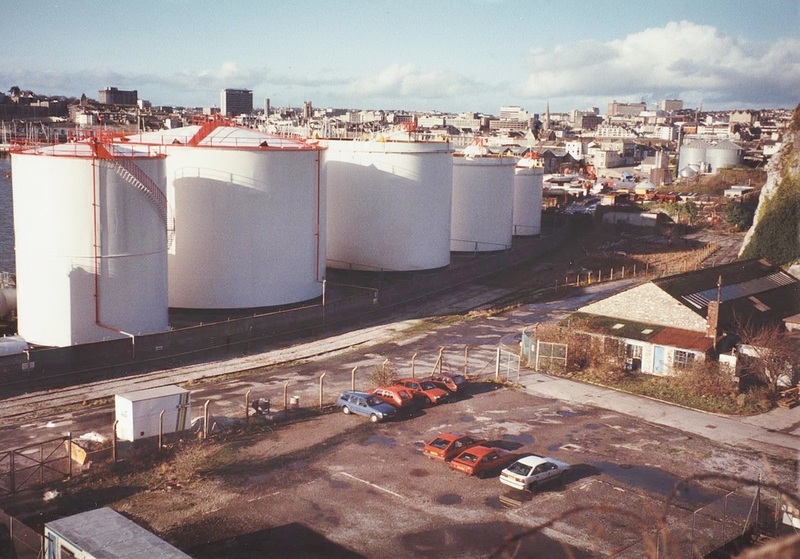 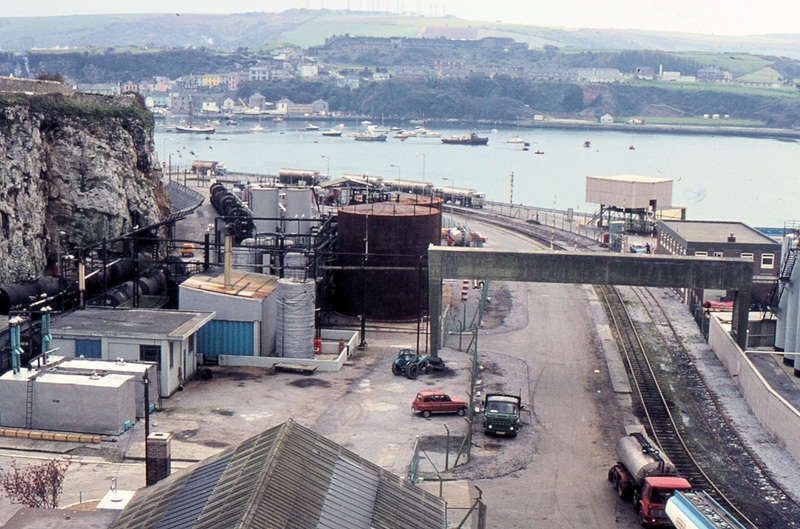 4 Cattewater, looking down on the Bitumen Depot. 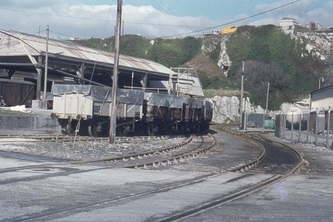 6Apl75 Copyright Roger Winnen Note the siding to the left, close by the cliff, protected by a wire "roof" A view into the end of this siding appears in picture 5. 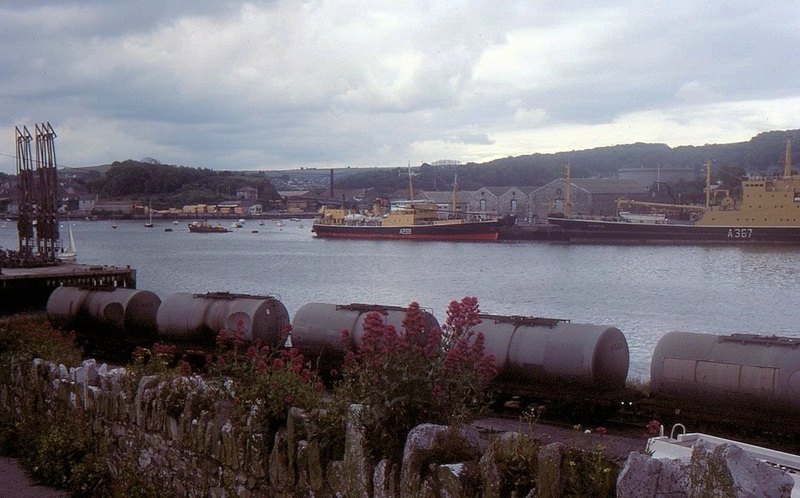 On the opposite bank of the River Plym is Turnchapel village. 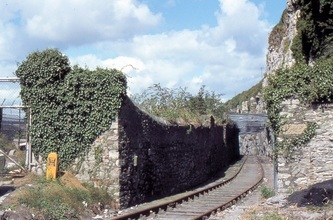 The Catterwater Branch Copyright Sid Sponheimer. 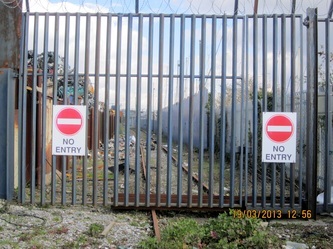 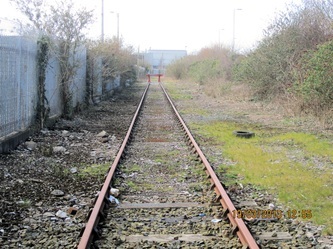 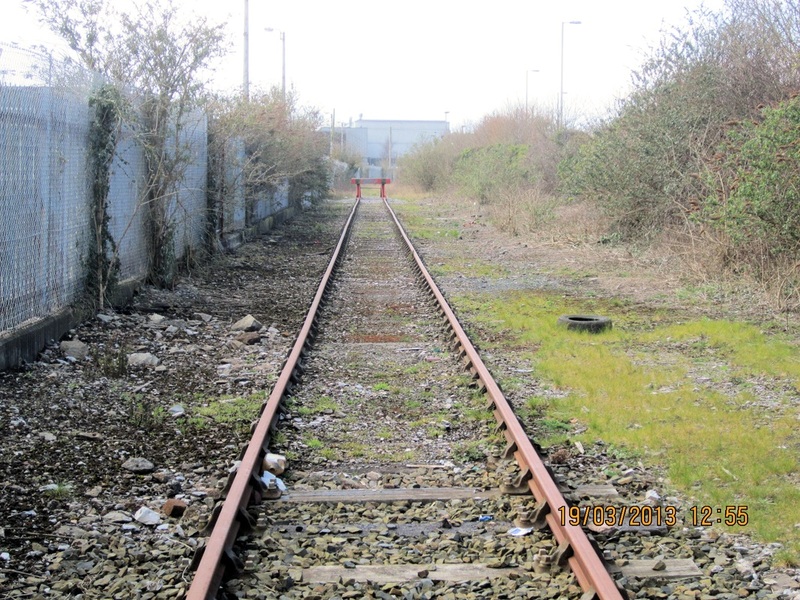 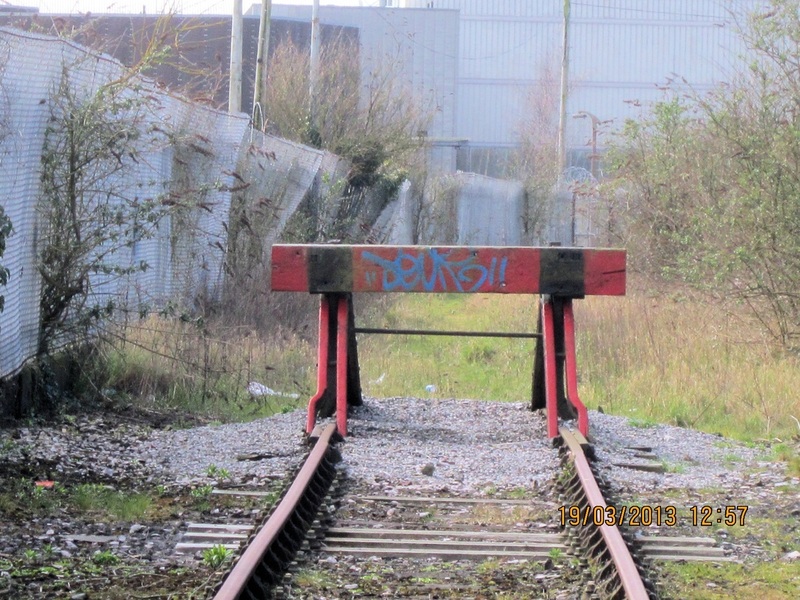 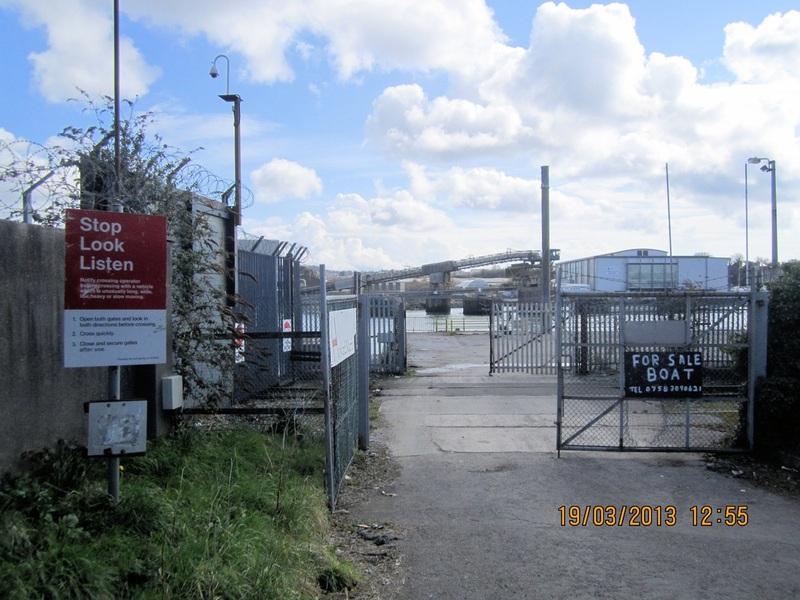 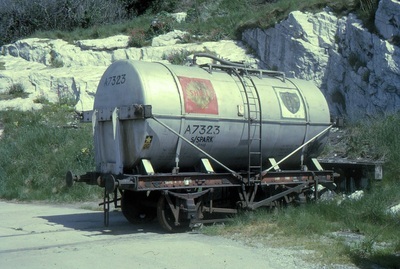 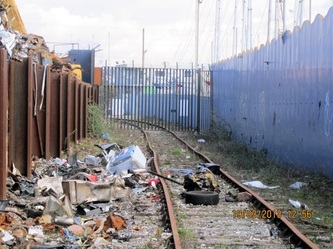 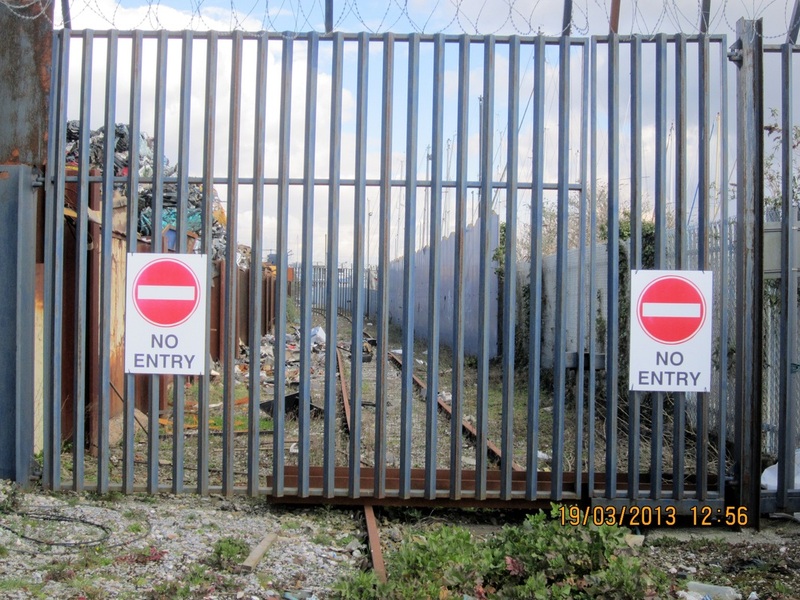 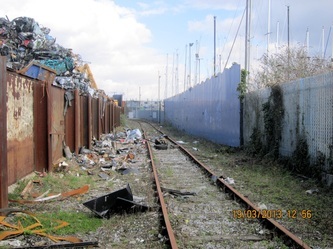 More recent pictures of what remains of the Cattewater branch in 2013, it only connects with the scrapyard. 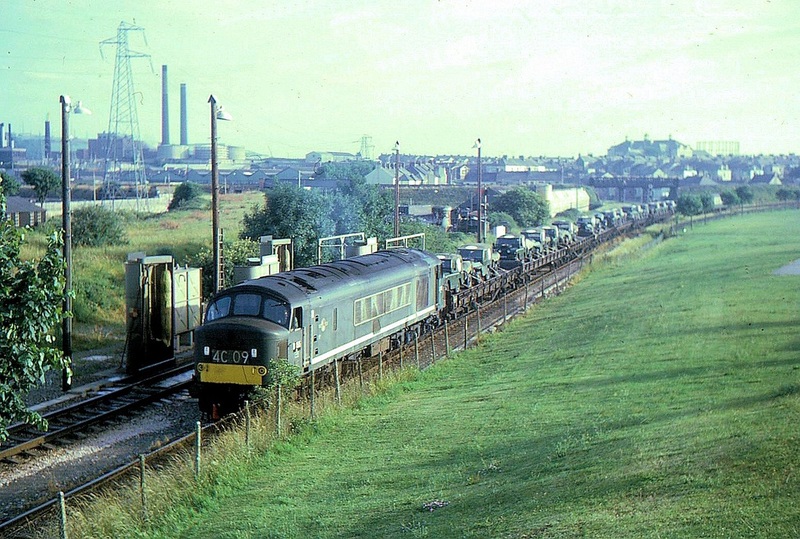 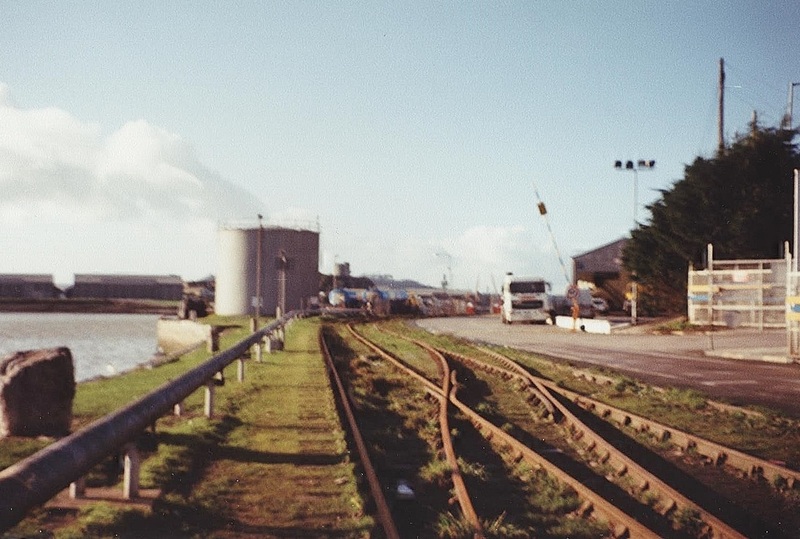 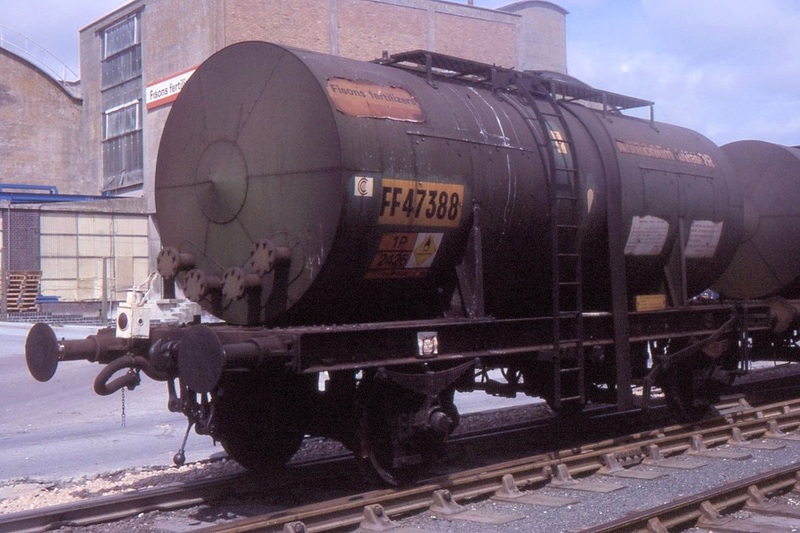 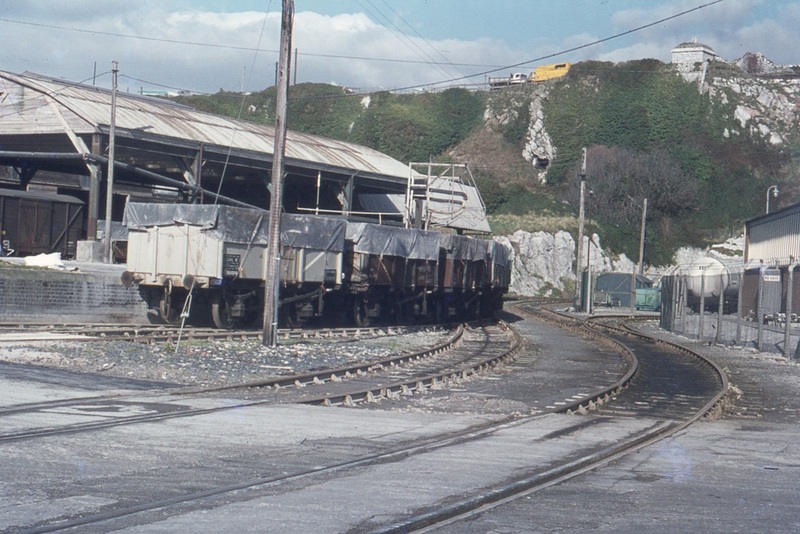 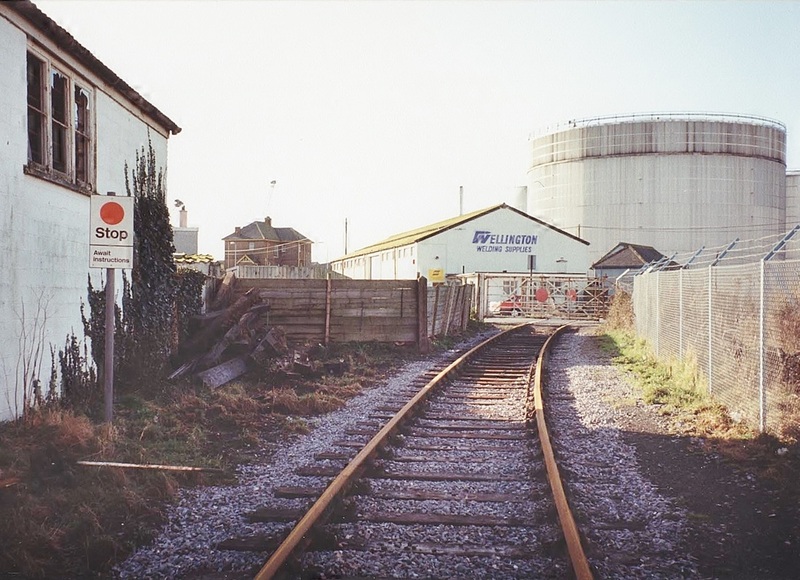 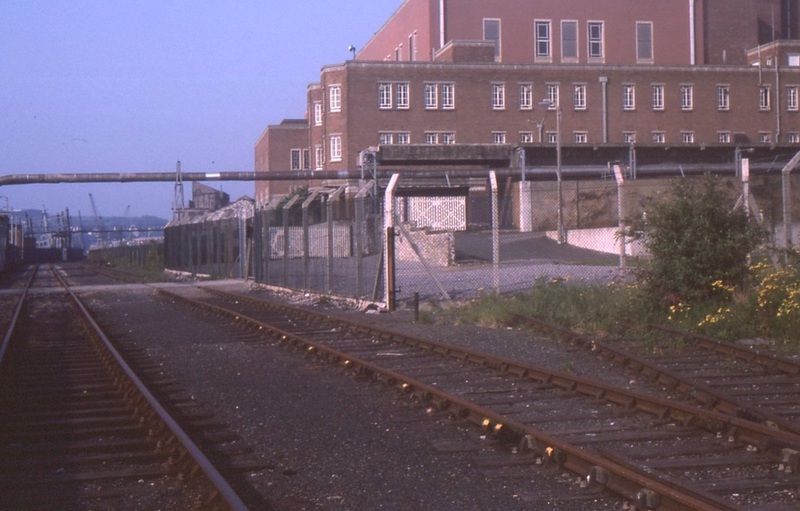 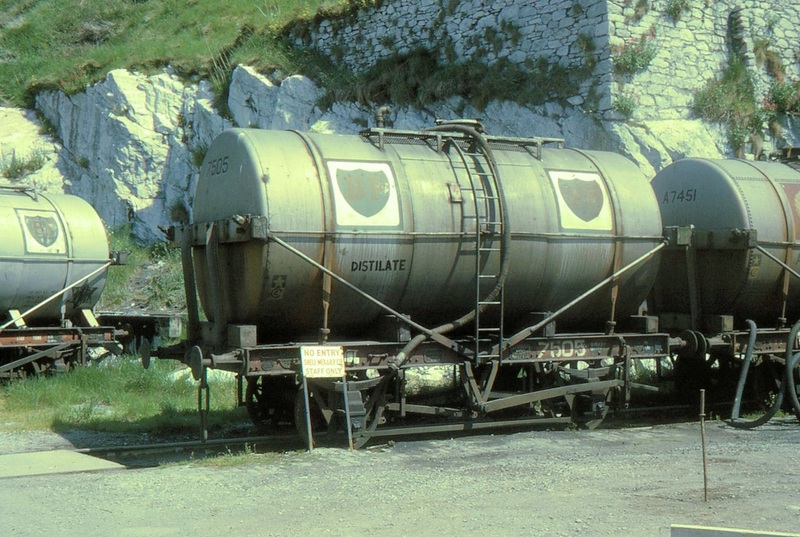 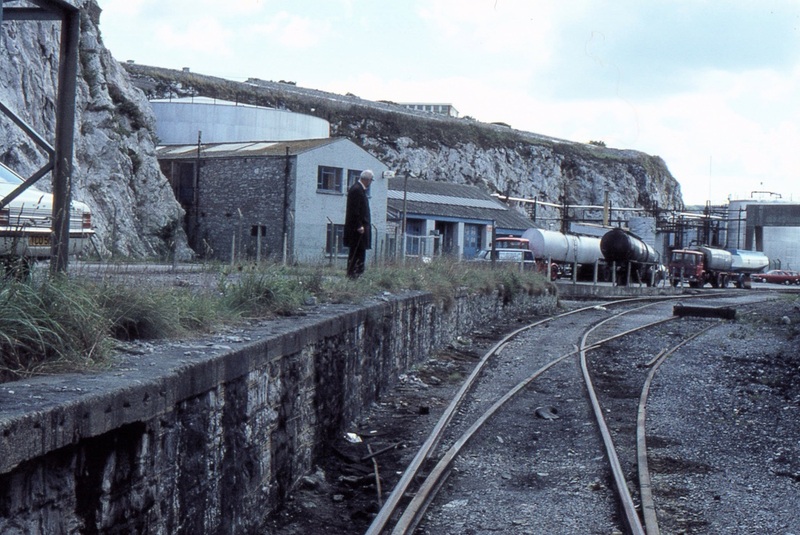 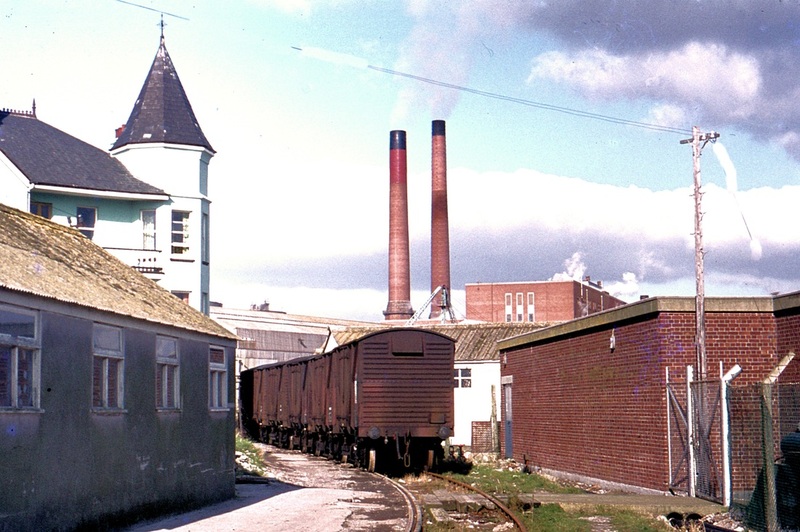 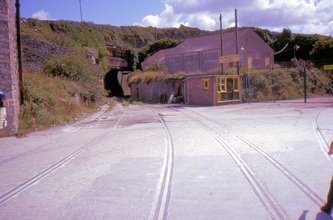 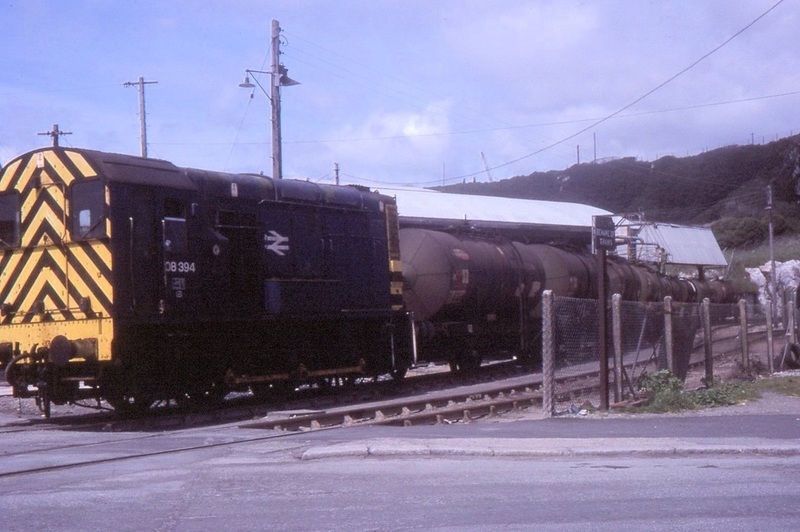 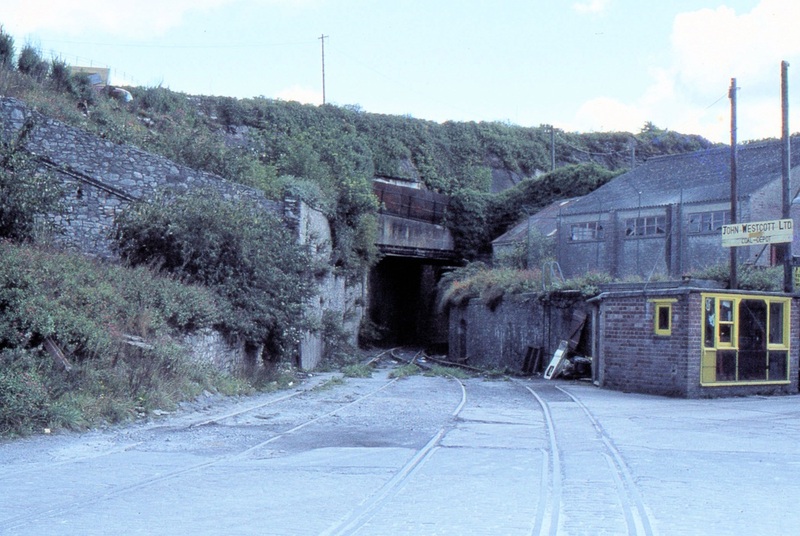 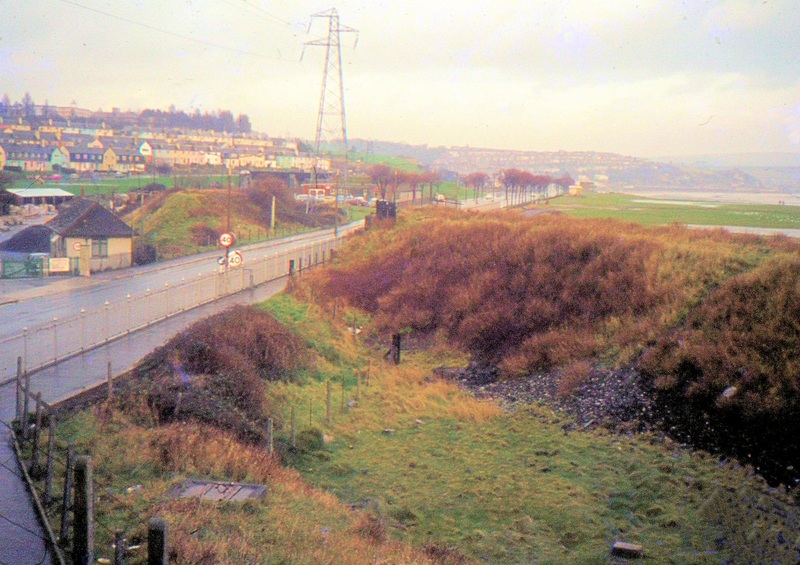 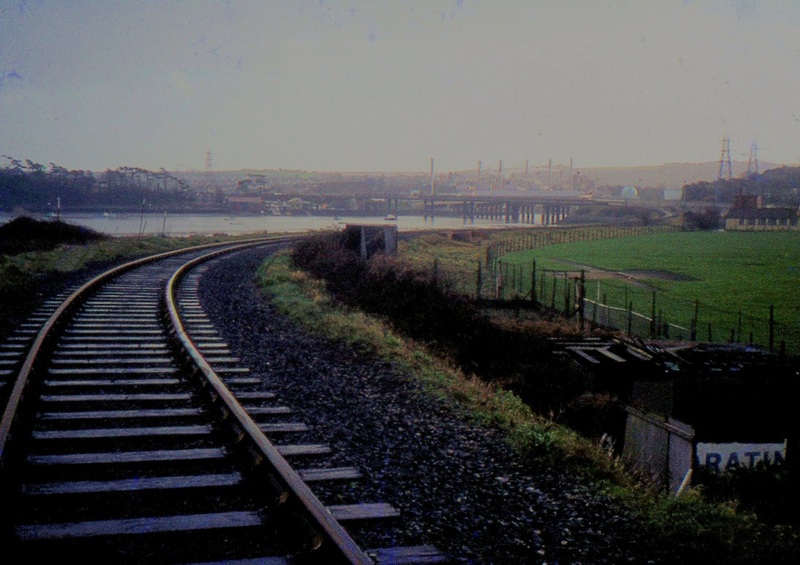 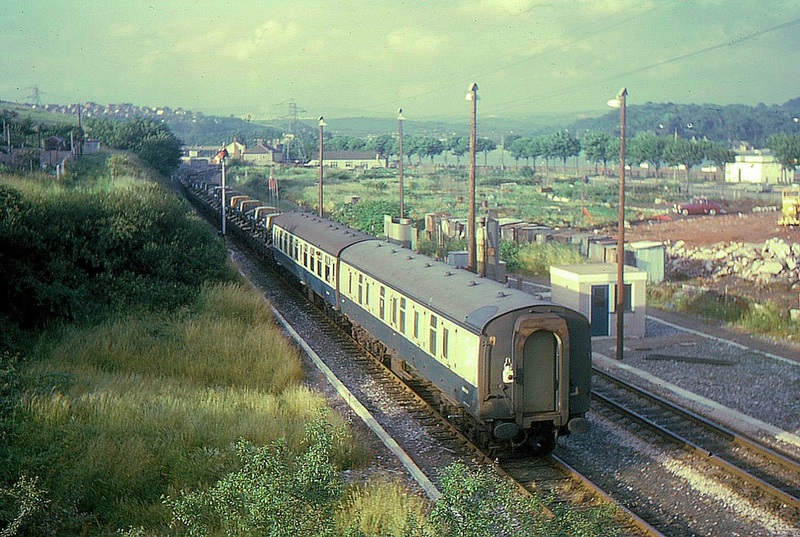 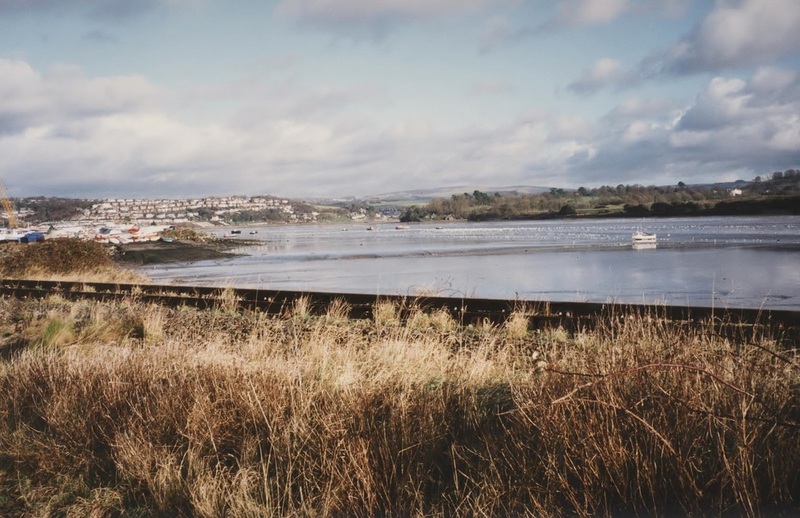 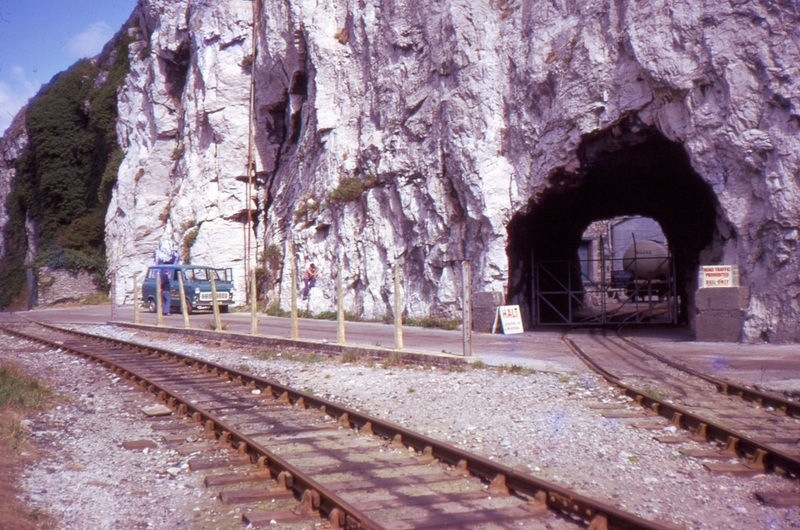 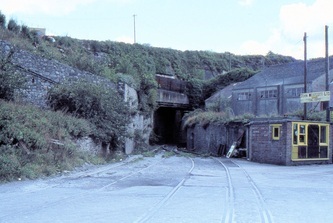 22 Line to Cattewater Jctn as seen in 1972 Copyright K Jenkin Beyond Laira bridge can be seen the 5 chimneys of Oil Feed Stock to gas conversion plant at Oreston. 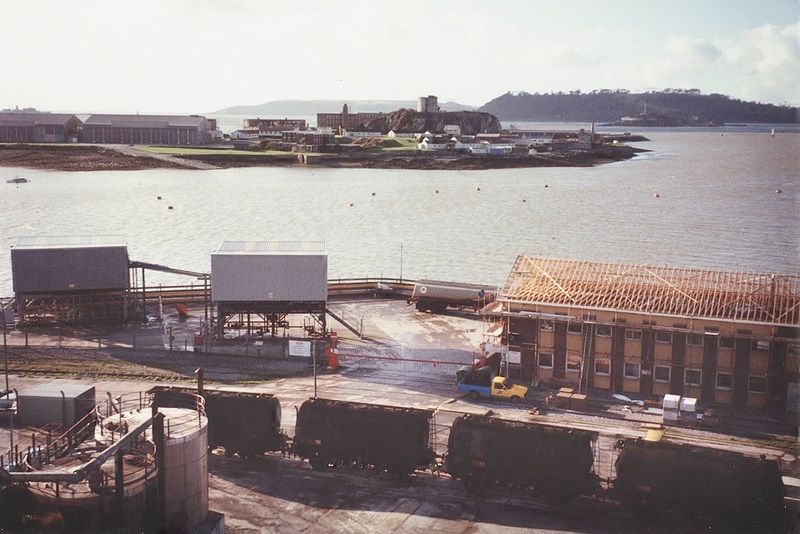 It is said that the smell from the plant was an odour not enjoyed by local inhabitants.